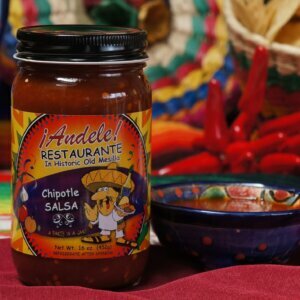 This salsa has been chosen numerous times by popular vote as one of the top salsas in New Mexico at the New Mexico State Fair. 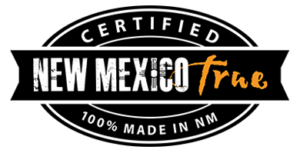 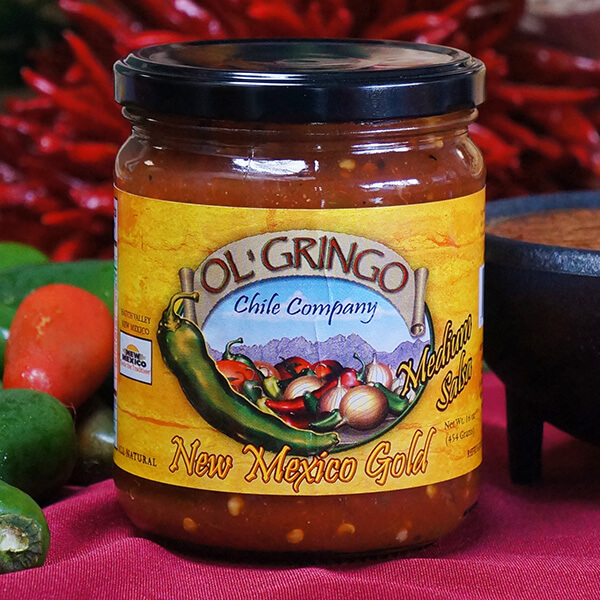 Ol’ Gringo Chile Company’s New Mexico Gold just looks good, but wait until you try it! 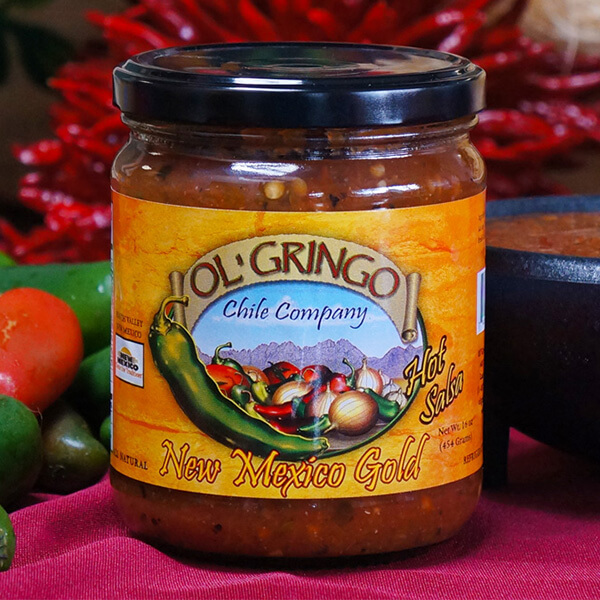 Through the glass, you’ll see chunky tomatoes and flecks of black and gold. 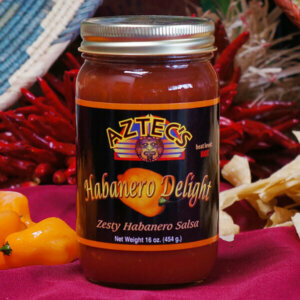 Put a chip in it and you’ll catch the delightful flavorings of flame-roasted jalapenos, cilantro, and garlic.